How can I find customers who have encountered an error today? Too often bugs and errors are flagged by our users once they've encountered an error. 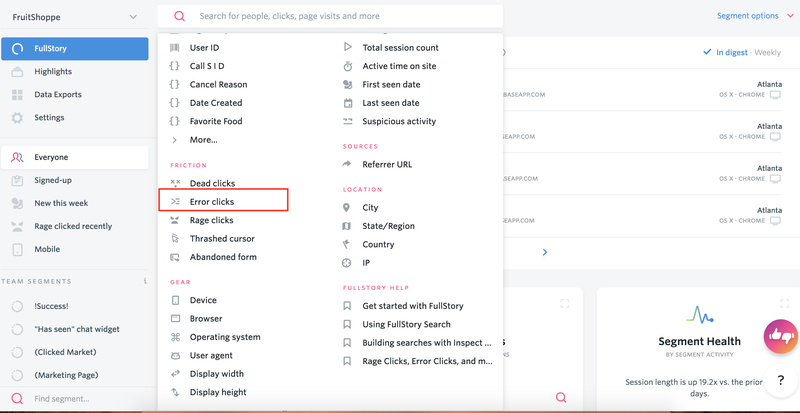 With FullStory Error Clicks, you can quickly and easily find actions that are leading to errors and proactively flag them to your engineering team to fix before hearing from your customers. 1. Use the Error Clicks search in Event Scope to filter to sessions where a click immediately triggered a console error. 3. Use FSTV to navigate through sessions quickly. 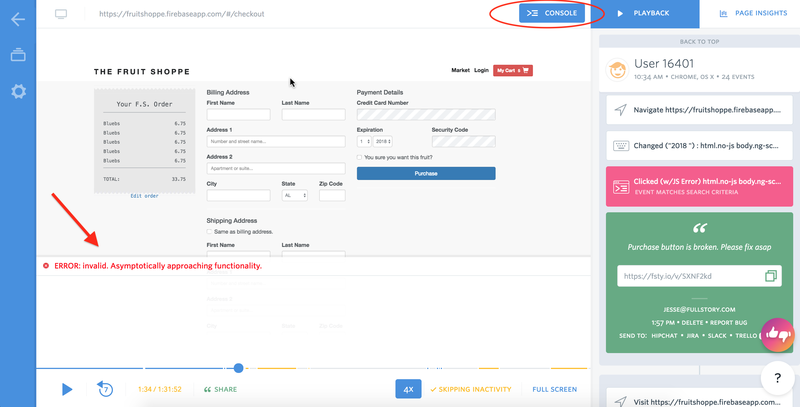 Look for patterns of the same button or same pages that are causing errors. 4. Send your findings and example session links to your engineering team so they can get started on a fix. Did my customer leave the app after encountering a bug? How many first time visitors encountered this bug?